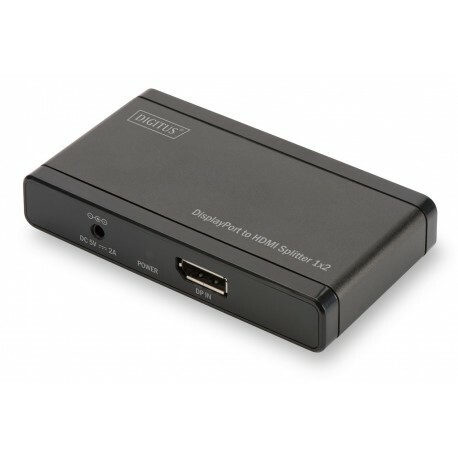 DIGITUS DN-45400 allows you to distribute a DisplayPort signal to up to two HDMI-capable devices such as external monitors, televisions, or projectors. Thanks to MST (Multi-Stream Transport) support, you can duplicate your desktop or display different content on each monitor. This increases productivity by making multi-tasking applications that much easier. 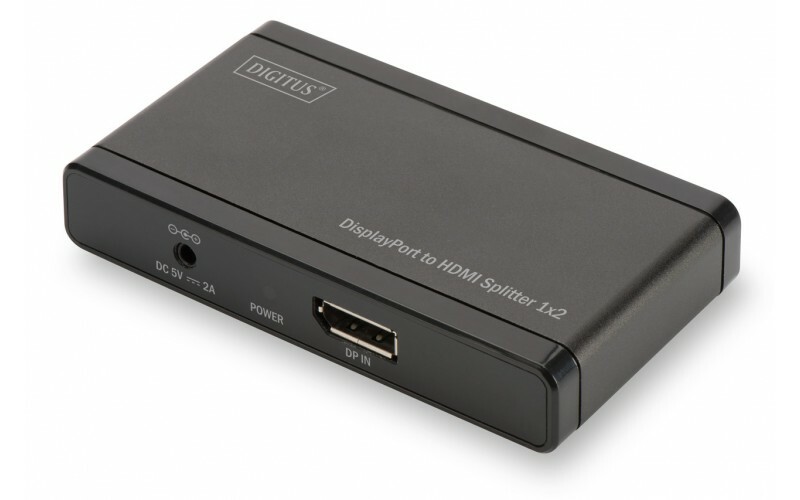 The splitter thus provides the ideal solution for professional applications, including video wall presentations, graphical applications, and product presentations (offices/business spaces, trade fair exhibits, etc. ), and for home use. 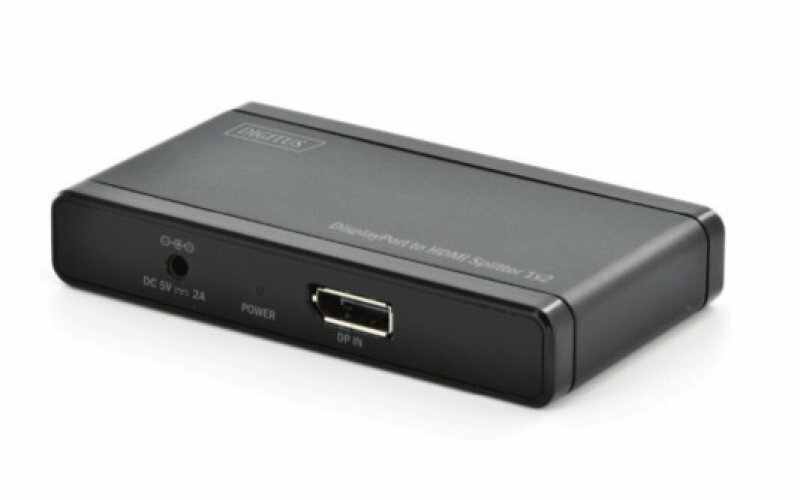 You can experience your content with sharp 4K UHD resolution on up to two HDMI monitors with the DisplayPort to HDMI Splitter, regardless of whether you display photos, presentations, movies, videos, or games.